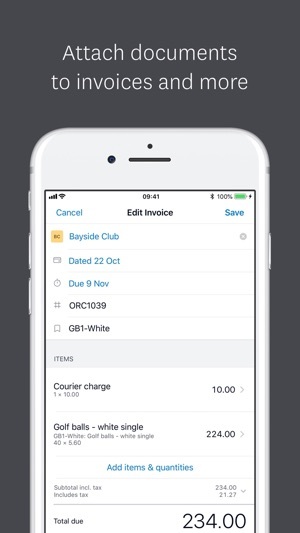 Manage your business while you’re on the go with Xero for your iPhone or iPad. 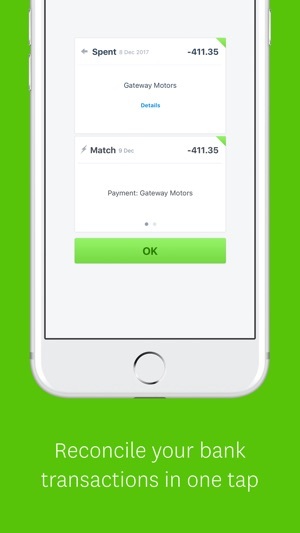 Reconcile, send invoices, and record bills and receipts with this easy to use mobile app. Xero is beautiful online accounting software designed for small businesses. Easy to use, Xero uses the best of the web and mobile to allow small businesses to manage their finances anytime, anywhere. 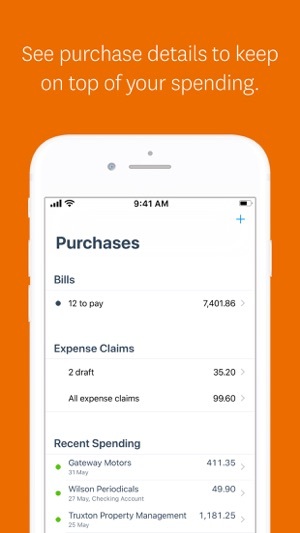 • Visibility of all your bank accounts, credit card and PayPal balances, outstanding invoices, expense claims, bills, reports, and contacts. 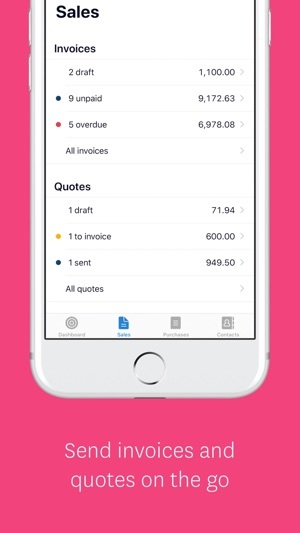 • Create, approve, and send invoices directly from your iPhone or iPad. • Stay on top of money going out. Add and approve bills, or record receipts on the spot. • Work from anywhere. Call customers and suppliers directly from the app (find them on a map too), and then save any notes you need straight back into Xero. • Bookkeeping made easy. Get everything you need to manage and track your sales and spending. You can also choose to log in faster with a more convenient 4-digit PIN code, Touch ID or Face ID on a suitable iPhone or iPad device. Subscriptions are priced according to your country. The amount will be shown in the app before you complete the payment. Your iTunes account will be charged at confirmation of purchase and automatically renews each month unless you turn off auto-renew at least 24 hours before the end of the current period. Your iTunes account will be charged for renewal within 24 hours prior to the end of the current period at the rate of your selected plan. You can manage your subscription and turn off auto-renewal by going to your iTunes account settings on your device after purchase. Xero is the global leader in online accounting. 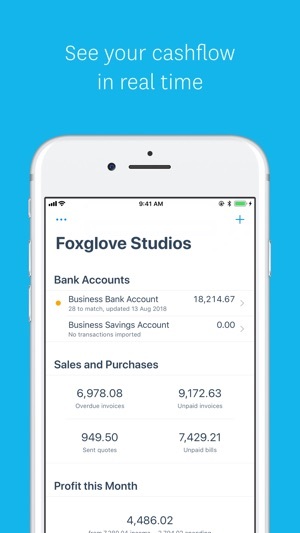 With more than one million customers worldwide, Xero is setting the standard for accounting software, making it easy for small businesses to stay on top of their finances and work with their advisors. Find out more at www.xero.com or follow us on Twitter at https://twitter.com/xero. You can now add files to your bills on mobile. Take a photo or add a file to your bill from your device or Xero files. Managing bills has also just got easier with the ability to delete draft bills. My accountant made me sign up to this software and already it’s saved me over £1000. I’m not to great on computers and when it comes calculating tax, CIS, and VAT returns it’s a complete drain on my time and resources. I have admittedly spent a few hours setting this all up but no more time than doing the VAT return, but now I can honestly say I’m flying with it. My accountant is impressed and XERO has on its stats in the dashboard says I’m up 137% on last month plus XERO had noticed that a customer who I thought had paid in full hadn’t paid an invoice I thought I had handed over but failed to give them!!! Now I can email invoices straight from the software with a notification when the customer reads the invoice! So all in all fantastic bit if kit but my only negative comment is the fact the bank stream needs to be updated by the accountant? Hello, we're loving your feedback, and so happy that Xero is making a positive impact to your business, and giving you back some of your valuable time! With regards to the bank feeds, depending on your bank, these can be set-up to be automatic, but unfortunately some banks don't currently offer this to Xero users. Check out the list of banks on Xero Central (search Bank Feeds) or ask your accountant. Constant issues with feeds. Data lags behind by days if not weeks. When there is an issue it can take hours to fix and get your accounts in order. If you use Xero as part of another paid accountancy service and it goes wrong, your accountant will likely charge you extra for fixing Xero’s mistakes. Personally I have over two weeks of transactions missing after having two months of transactions ‘doubled’ by Xero setting up dual feeds with HSBC. £30/month is a disgrace when you’re trying to start a new business and you spend more time fixing your finances than working on your business. If it’s not sorted for me soon I’ll be using another service or just putting my receipts in a lunch box and saving myself time and money. I understand that the app may be a streamlined version of the webpage. But there are silly things that are just not there. IE I cannot convert a quote to an invoice while using the app. The facility just is not there. I have to log on to the webpage and do it from there. Very frustrating, when creating invoices and quotes from scratch is so simple. Also uploading files. These may not always be photos. (this difficulty applies to the web also). I have numerous invoices and receipts emailed to me as PDFs. These can't be attached to invoices I'm sending out. I run a logistics company, I'd like to also be able to attach my PDF proof of delivery notes to invoices. Why isn't this possible? These two factors can easily be rectified. I searched how to do a credit note on the help section. It didn't exist according to Xero help. Yet I managed to stumble upon it when I went into the invoicing section. Simple things that just need to be honed.